Well, it’s been a shocker this last month with wind and consistent bad weather, which has really limited our opportunities to get out. Stronger than usual currents and a rather large shark problem didn’t help matters either, we managed good fish but a lot of heads in between them, ten to fifteen minutes on a spot and half a dozen good fish and that was it, time to move. 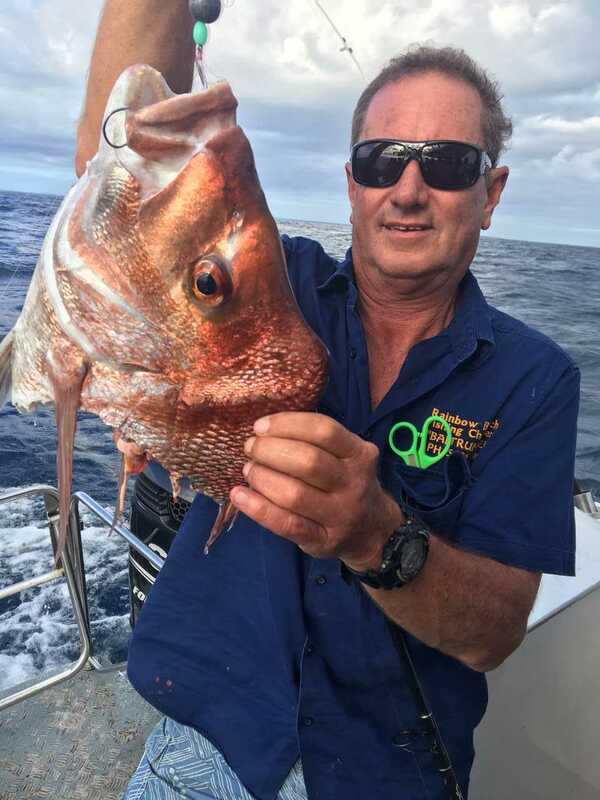 On a positive, the fish have been on the chew with pretty much every species that Rainbow Beach has to offer filling the eski. Pearl perch, red emperor, sweetlip, parrot, wrasse, cod, cobia, mackerel and some great snapper are still roaming around. And why not a jetty at Bullock Point?